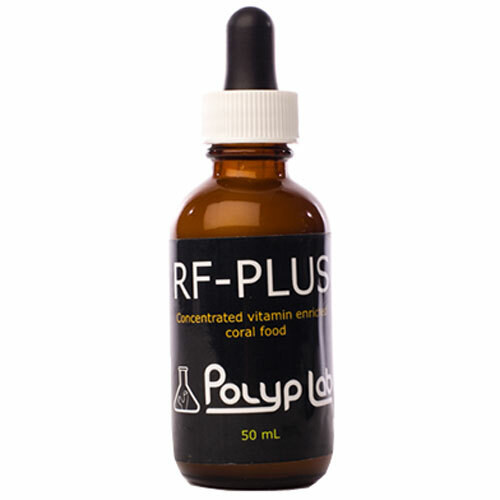 Brief Description: Reef-Resh Plus is a water-stable mixture of both liquid and solid coral foods that have been enriched with vitamins and minerals and engineered to be free of nitrates and phosphates. Product No. WTPL-RFP50	- In Stock. Notify me when "Reef-Resh Plus [50 mL]" is re-stocked. For every 250 total gallons of system volume, dose one drop daily of RF-Plus. For optimum results, dose RF-Plus when tank lights are turned off at night.